How do I take and send a screen shot to RealNetworks using a Macintosh? 2. 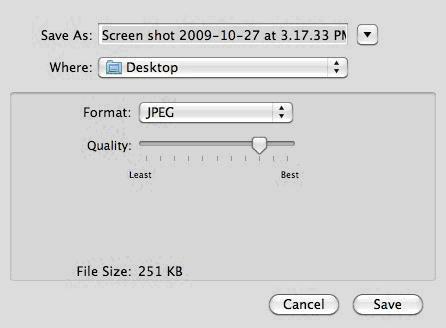 To capture a picture of the entire desktop, press Command-Shift-3. 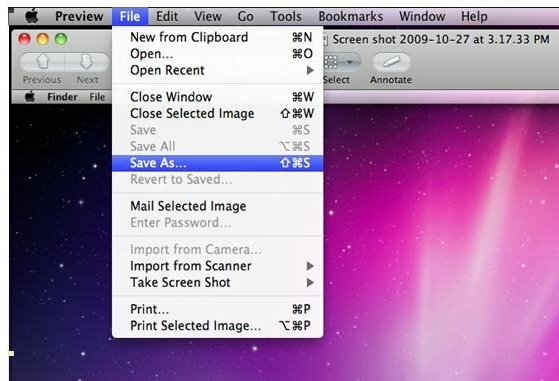 The screen shot will be automatically saved as a PNG file on your desktop. 3. Click on the picture to view it in Preview. 4. Click the File menu at the top and choose Save As. 5. Change the Format to JPEG. 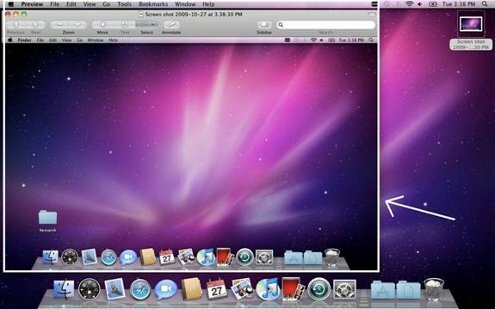 Another method for capturing screen shots in Mac OS X is by using the bundled Apple utility, Grab, located in the Applications->Utilities folder. Grab is useful if you need to include a cursor or a menu in your screen shot, or if you want to save your screen shot to TIFF format. 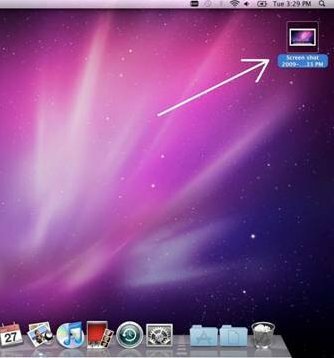 To include a cursor, first go to Grab Preferences and select the cursor icon you wish to have in your screen shot. To capture the screen with Grab, run Grab, then choose of the capture modes from the "Capture" menu: Selection, Window, Screen, Timed Screen.